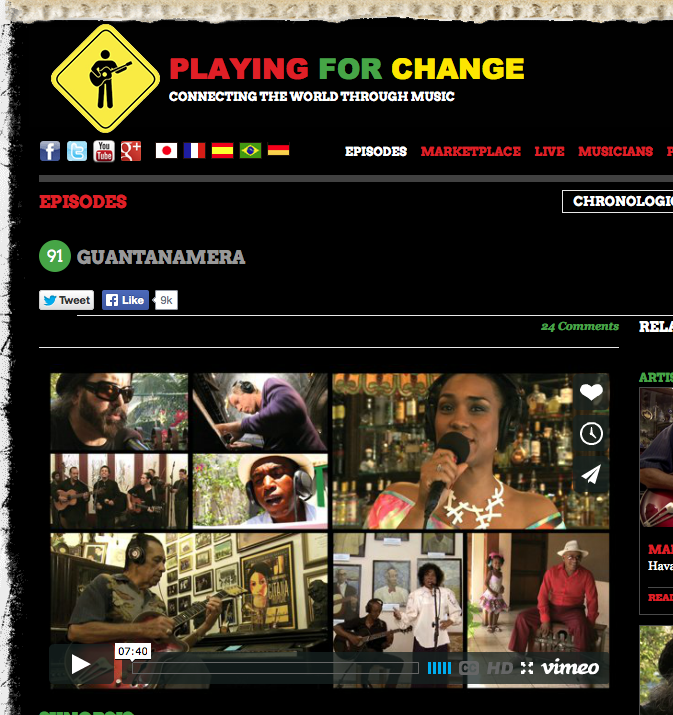 Playing for a Change has just released the new album “Guantanamera”. The album features over 75 Cuban musicians around the world, from Havana and Santiago to Miami, Barcelona and Tokyo. Playing for a Change recorded and produced this track with Jackson Browne, who explains that “traveling with Playing For Change across Cuba was one of the most rewarding and inspiring musical experiences of my life.” This track is In honor of the late great Manuel Galbán. Click here to watch the video.